“Mississippi” Charles Bevel is riveting as bluesman Jesse Davidson. 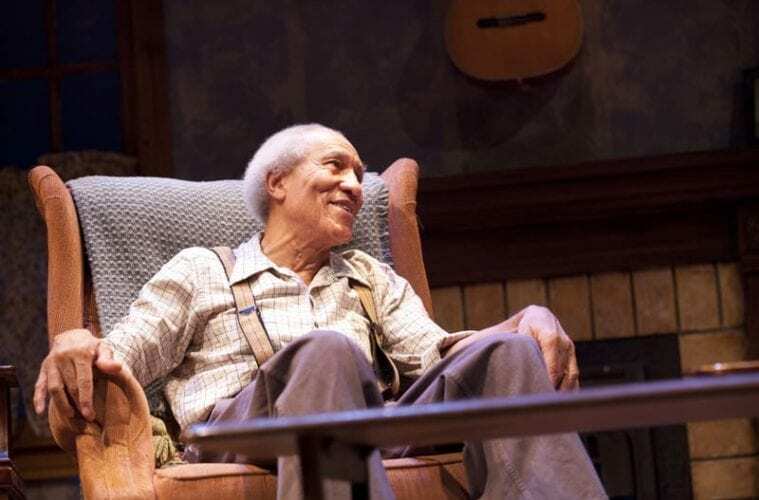 “If you sing a song about Atlanta, you got to have been to Atlanta,” says former bluesman Jesse (“Mississippi” Charles Bevel) in Stephen Jeffreys’ 2000 play “I Just Stopped By to See the Man,” on the Alliance Theatre’s Hertz Stage through April 8. That question of authenticity — who really has the right to sing the blues? — runs through much of the play. And, although it relies on some familiar tropes for its dramatic effects, it’s an essentially well constructed and compelling story. 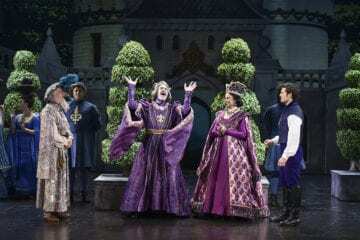 Ultimately, it’s the small cast of three fantastic, perfectly cast actors that makes for an incredibly engaging and tightly focused evening at the theater. The play, set in the mid-1970s, begins on the night that Karl (Dieterich Gray), a Mick Jagger-like musician fronting an arena-filling rock band that plays blues-influenced music, tracks down the presumed-dead blues legend Jesse “The Man” Davidson in his run-down shotgun shack in the Mississippi Delta. Jesse’s daughter, Della (Bakesta King), who is hiding some secrets of her own, resists Karl’s idea of persuading her father to return to the stage. “I Just Stopped by to See the Man” was originally a hit in London, and I imagine that some of the effect of a British audience watching a British character arriving in a foreign, far-flung place — the American South — is diluted a bit with the shift in place of production. The inherent complications of white people listening to, buying and even singing the blues are well dramatized, but in the end they seem a bit familiar to us; perhaps these conflicts felt newer, more surprising and more revealing to a British audience. 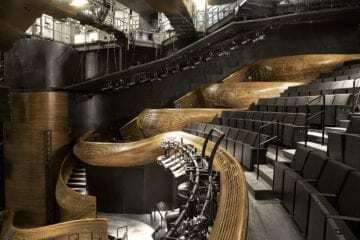 But the heart of the play is the stories of its three central characters and their ineffable (and often complicated and even destructive) connections to music and history. This is all brought to life deftly by the talented cast. Gray struts and preens in all the right places as the rocker Karl, but he also exposes much more. He lets us see the character at his most vulnerable, even as we see his vanity and manipulations. Though Karl doesn’t share Jesse’s harsh experiences, he shares his need for music. And King simmers with righteous anger, complicated fears and longtime resentments as Jesse’s daughter. But ultimately it’s Bevel who is called on to carry most of the show, and carry it he does. Though his decision to let the world believe he’s dead is initially hard to comprehend, Jesse and his motivations are always clear from moment to moment, and we’re slowly drawn into the larger questions of the character: we begin to see that his interior struggle is ongoing and ultimately an existential one. Bevel himself grew up in the Delta and is a blues musician. Audiences are especially lucky because the show includes several songs, and he’s an amazing performer. He isn’t just a strong actor and musician, but also a powerful storyteller. This is crucial because the character’s past is an important element of the drama. There’s a comic moment with a costume change into a silly suit that suddenly brought the show down to the level of situation comedy; it even had some uncomfortable associations. Although the moment got a big laugh, it seemed the wrong sort of humor for where the play was headed. Jesse’s new suit should be flashy and cool, not comically tacky. But otherwise there’s not a single element that’s misplaced. “I Just Stopped By” has a two-and-a-half-hour running time but never feels long. Its issues and characters will be especially fascinating to fans of blues and rock music, but anyone who’s ever been human will also likely be pulled inexorably into the drama that the three amazing actors so skillfully unfold.